Diabetes is a life-long, chronic condition that needs to be carefully monitored and regularly checked. So if you, or someone you know is suffering from diabetes, refer them to us at Sun Discount Pharmacy. 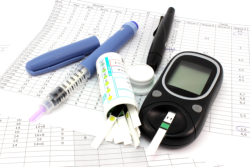 We have affordable and high-quality diabetic care supplies that can help you. Just to name a few. So, if you are looking for appropriate diabetic care supply for your unique needs, come visit us today. Or, you can give us a call at 941-556-9622 for inquiries.